For years, brand marketers have used promotional sampling to introduce consumers to new products and solicit their feedback. From supermarket tasting trays to department store perfume reps, sampling is an effective marketing channel that gives consumers the chance to ‘try before they buy’. Product sampling is proven not only to lead to improved sales but, also more crucially, drive customer loyalty. In recent years, product sampling has found a new home online, thanks to advancements in technology and the explosion of digital platforms. A growing number of businesses are experimenting with online sampling and reaping the rewards, both in terms of increased customer engagement and in the collation of valuable customer data, which helps companies better target their marketing campaigns. Digital product sampling offers the added advantage of being able to deliver significant savings and operational efficiencies when compared to traditional hand-to-hand sampling. By engaging with core customers and issuing samples from digital channels, brands can reduce wastage and contain costs. In 2009, sweetener brand Splenda was one of the first companies to test Facebook as a platform for sampling. 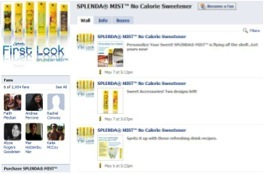 They used engagement ads to entice their core demographic, (of women aged 25 and over), to visit their Splenda Mist Facebook page, and sign up for a “first look” at the new product. They were then asked to post their photos and feedback on the Facebook page after trialling it. When consumers signed up for a sample or became a fan of the product, it showed up on their Facebook feed, meaning that their contacts could also see the campaign. This helped it spread virally. Splenda had hoped to distribute 10,000 samples in 12 weeks; instead, it gave away more than 16,000 samples in two weeks. In the same two-week period, more than 3,100 Facebook users became fans of the product, and more than 1,500 fans responded to a quantitative survey that Splenda deployed to those who signed up as fans. As Splenda demonstrated, digital sampling can be an extremely effective way of reaching and engaging with your target market, whilst driving consumer behaviour and loyalty. They created a Facebook following specifically to form a sample group, which allowed them to gather personal information as well as all-important demographic data about their customers. With social media reshaping the way brands connect with consumers, from engagement to campaign amplification; it’s never been more important to reach the right people at the right time. 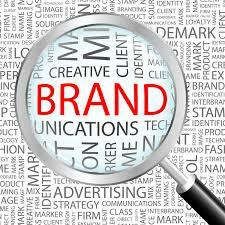 Get your digital sampling activity spot on and they could become fans of your brand for a long time.